The United States Bill of Rights is the set of the first ten amendments to the US Constitution. The framers of the Constitution wrote a solid document, considering the Constitution is still our governing document more then 220 years later, but they also knew some changes would be necessary as time went on, so they wrote a provision in the Constitution for making changes to it. The history of the Bill of Rights goes back to just after the Constitution was ratified between late 1787 and early 1788. We had declared our freedom from British rule. We had a new governmental structure in place through the Constitution. 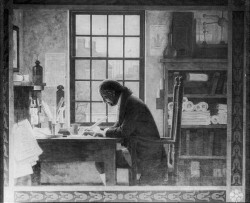 George Washington became our first president. But people were fearful that our new government still had too much power over them, reminiscent of the not-so-distant days of British rule and oppression. So, some of the founding fathers throughout the colonies insisted on some changes to the Constitution that would protect individual human rights. The Bill's purpose is to outline rights due to individual citizens of the country, protecting them from the government being able to have too much power over them. 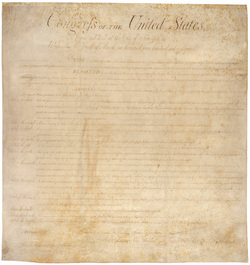 The amendments were added as a legal part of our Constitution in 1791. 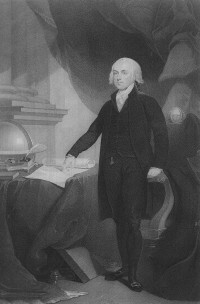 James Madison, who wrote the amendments making up the Bill, gathered lots of input from others and originally drafted 42 amendments. By the time they went through the new governmental process for acceptance, the 42 proposed amendments were whittled down to 12, which were presented to the First Congress. They approved articles 3 through 12, which gave us our first 10 amendments, or, the Bill of Rights. Note that the first proposed article has never been ratified, but the 2nd proposed article, which wasn't ratified at the time, was added as the 27th, and most recent, Constitutional amendment in 1992. Changes to the Constitution are rather difficult to make. Since its ratification, only 27 amendments have been made or needed to be made, including the ten in the original document. Even if you think you don't know your Constitutional Rights that well, you've certainly heard of many of them. The first amendment outlines our freedom of speech and freedom of the press. The second amendment gives us the right to bear arms. The fourth amendment prohibits unreasonable search and seizure of our personal property and requires a warrant to search our property. And surely you've heard of people 'pleading the fifth' which means they are invoking their 5th amendment right to not incriminate themselves through their testimony. The 5th amendment also prohibits people from being tried twice for the same crime (double jeopardy.) The sixth amendment gives us the right to a speedy and public trial. Hopefully we never need to rely on this amendment, however! Here are the other 17 amendments, too. As often as we see these amendments in the news, we can more fully appreciate the Bill of Rights importance in the freedom we enjoy as Americans. 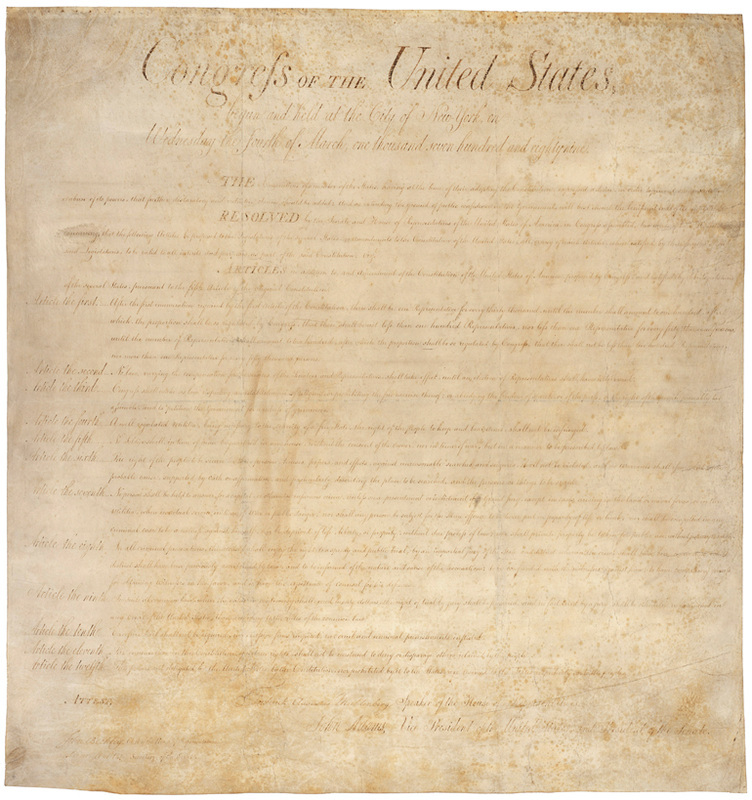 Now that you know more about our country's governing documents, perhaps you'd like to obtain some Bill of Rights posters or posters of other government documents like the Constitution and Declaration of Independence for your classroom or place of business. You can get them here. © 2016 Right-Sites, LLC. All Rights Reserved.